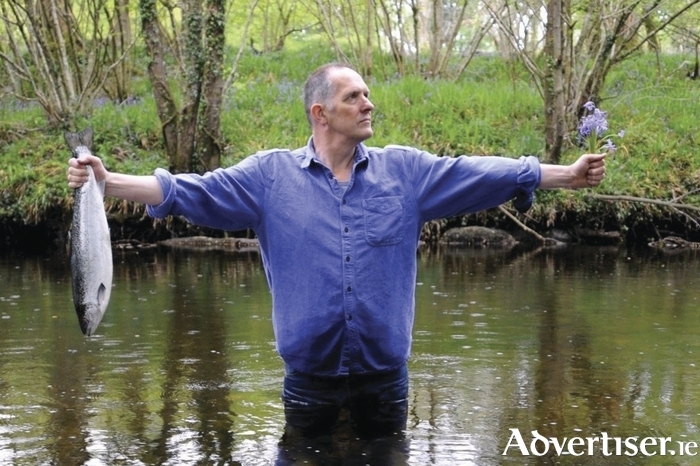 BILL DRUMMOND has never done things the conventional way, whether it was with The KLF and that appearance at the 1992 Brit Awards, to his No Music Day drive, to today, and a new 'film' - sort of - which exists and does not, that is coming to the Galway Film Fleadh. "Imagine Waking Up Tomorrow Morning & All Music Has Disappeared is a documentary about music made by the Swiss director Stefan Schwietert. I am the protagonist in the film. There are five reasons why you should never watch the film and five reasons why you should watch the film as soon as possible. "Five reasons you should never watch the film - Because the closing shot is not of me on my raft sailing out into the Atlantic. This was a scene we spent the best part of a day filming over and over again and I risked life, limb, and all sense of danger; it has me trying to explain why there in no music by The KLF in it and failing; it has me trying to explain why I won’t talk about the money burning and failing because I am ambushed by school children; there is not a leading lady to act as my foil; this film has two maps in it. Both of them are wrong. "Five reasons you should watch the film - Because this film is free of any soundtrack that relies on music. I hate music used as the soundtrack to films; it captures something of the people and places of these islands that no other film I have ever seen does; it perfectly captures a man in his late middle age just before the scales start tipping into old age; because Stefan Schwietert is a great director. "Because it is maybe the only film released in the UK and Ireland, that will never be made available on DVD, as a download or streamed. While I’m alive, you will only ever be able to see this film while I’m there, screening it and then telling you about the film that should have been made."